HARTFORD - Leadership from Bristol Hospital on Wednesday made a trip to Hartford to voice concerns to local legislators about an aspect of Gov. Dannel Malloy’s budget proposal that would allow municipalities to levy property taxes against nonprofit hospitals. 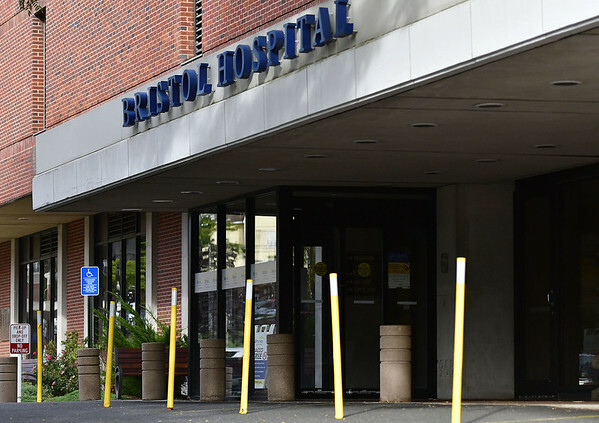 Barwis was joined Wednesday by 18 other employees of Bristol Hospital and Health Care Group. Hospital Day is used for leadership officials to meet with their legislators and discuss any concerns. This year’s main issue was Malloy’s budget proposal, which looks to attack a $1.7 billion deficit in the upcoming fiscal year. A portion of the proposal would allow municipalities to impose property taxes on nonprofit hospitals. It is estimated that hospitals around the state would pay roughly $212 million in real estate taxes. In return, through a federal matching program, the state would pay the hospitals about $88 million and an additional $162 million would come from federal aid. Malloy’s office has said the costs hospitals would incur by losing a real estate tax exemption would be offset by supplemental payments they would receive. Legislators and hospital leaders are skeptical of this. Legislators in attendance included state Sen. Henri Martin, R-Bristol, and state Reps. Whit Betts, R-Bristol, and William Petit Jr., R-Plainville. Petit said he is also objected to taxing hospitals. Martin also encouraged community members to visit BristolHospital.org to take part in the hospital’s letter-writing campaign in opposition of Malloy’s proposed hospital property tax. Since February, 8,300 emails have been sent in this campaign. “Keep sending those emails opposing this budget because you make a difference and all the legislators see those messages,” Martin said. Justin Muszynski can be reached at 860-973-1809 or at jmuszynski@centralctcommunications.com. Posted in The Bristol Press, Bristol, General Business, General News on Wednesday, 5 April 2017 21:53. Updated: Wednesday, 5 April 2017 21:56.